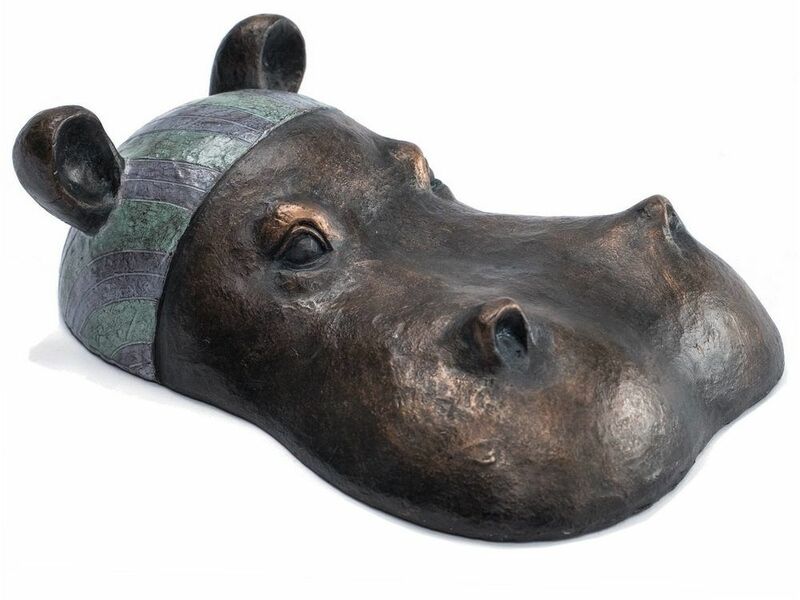 This bronze finish hippo sculpture will certainly raise a smile, with its cute depiction of a hippo with its bath-cap and googles, fresh from a wallow. You can almost feel the delight of this happy hippo, with its ears raised and bulbous snout showing a broad smile. Cast in metallic resin, the hippo makes a real statement and will look fabulous as a floor ornament, as if rising from the shallows, or on a side table with other bathing members of its family.